The following is a guide on how to get Internet Tethering up and running with iPhone 3G or iPhone 3GS. 1. Turn on iPhone 3G/3GS. Turn on Computer. 2. Plug iPhone 3G/3GS into Mac via the iPhone USB cable. 3. On the iPhone 3G/3GS, go to ‘Settings > General > Network > Internet Tethering’ and switch it to ‘On’. When prompted, choose the ‘USB’ option. 5. Now highlight the new Ethernet Connection that is your iPhone 3G/3GS on the left side and click â€œApplyâ€ in bottom right corner of the Network Preferences. 6. Go to a website on your Mac. Note: The setup method for USB will only have to be done one time per computer. When you want to tether in the future, simply do only Steps 1, 2 and 3. 3. On your iPhone 3G/3GS, go to your Bluetooth menu which is at Settings > General > Bluetooth and stay there. 5. So, click on the Bluetooth menu item in your Menu Bar and select â€œTurn Bluetooth Onâ€. Then, in the same Bluetooth menu, select â€œSet up Bluetooth Deviceâ€. 8. Near the end, the Mac will attempt to pair to the iPhone 3G/3GS using an access code for verification. Just follow the on-screen instructions and eventually tap on â€œPairâ€ on your iPhone 3G/3GS and then â€œContinueâ€ on the Mac Bluetooth setup screen. 9. Make sure to put a checkmark beside â€œUse device as a network portâ€ and click Continue. 10. 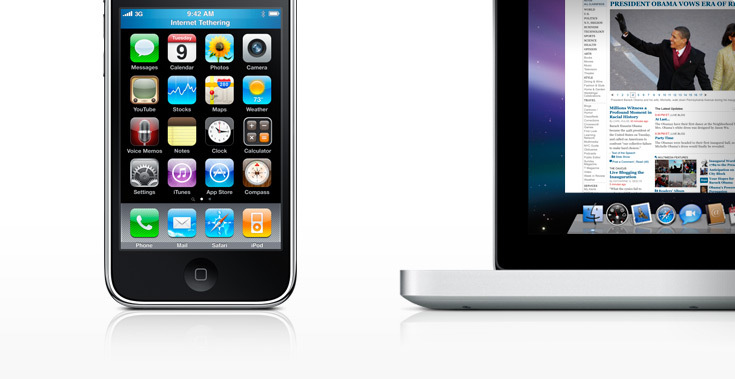 The iPhone 3G/3GS is now paired with the Mac. Click Quit. 11. Navigate to the Bluetooth menu item on the Apple Menu Bar and highlight your iPhone 3G/3GS and click â€œConnect to Networkâ€. 12. Go to a website. Note: The setup method for Bluetooth will only have to be done one time per computer. When you want to tether in the future, simply do only Steps 1, 2 and 11. 3. Under “Interface” choose “Bluetooth PAN“. Under “Service Name” put what ever you want. Click Create. Close the Network screen. 4. Ensure Bluetooth tethering is On within your iPhone 3G/3GS and that Bluetooth is On within your Mac. 5. Navigate to the Bluetooth menu item on the Apple Menu Bar and highlight your iPhone 3G/3GS and click â€œConnect to Networkâ€. 6. Go to a website. 2. Plug iPhone 3G/3GS into Windows via the iPhone USB cable. 4. Windows will recognize the USB connection and should start working immediately. If not, go to the ‘Windows Control Panel’ and open ‘Network Connections’. 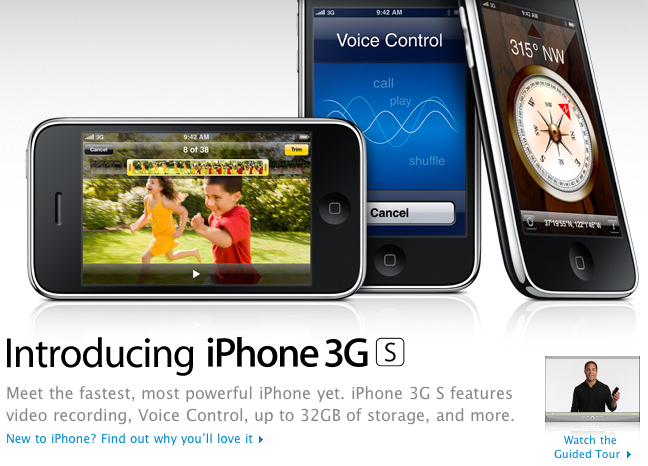 The iPhone 3G/3GS device will be listed there. 5. ‘Right click’ on the new “Local Area Connection” listed and select “Enable”. 6. Go to a website on your Windows computer. 2. On the iPhone 3G/3GS, go to ‘Settings > General > Network > Internet Tethering’ and switch it to ‘On’. When prompted, choose the ‘Bluetooth’ option. 5. In your Bluetooth settings, choose to Set up a Bluetooth Device. 6. Follow the on-screen instructions (varies between Windows versions). 7. Once the iPhone 3G/3GS is paired, exit the set up screen. 8. Navigate to your Bluetooth menu and select your iPhone 3G/3GS and Connect. 9. Go to a website. Note: The setup method for Bluetooth will only have to be done one time per computer. When you want to tether in the future, simply do only Step 1, 2 and 8. If you have any other methods of setting up Tethering, post them below in the comments and I will update this post!